“Offer a hand rather than isolating them further” Article by 17160 Stephen Kalyta In the twelve job changes I have experienced since leaving the military, I have seen first hand the power of corporate cultures to either build or destroy lives. According to Dan Coyle in the Culture Code, it is far easier to achieve the latter than the former. I would agree that in my collective experience I saw the consequences of a bad culture radically affect people’s health, financial well-being, and interpersonal relationships. It turns out there is a hive-mind that powerful cultures achieve that allows them to succeed where so many other organizations fail. Success can be measured, too, as a Harvard study proved that over a 10 year period, income rose 765% in groups demonstrating a positive culture. In a military context, this hive-mind is compared by the author to the Navy Seals. As one of the most dangerous careers in the world, one can readily accept that a strong culture of belonging would rank high in this sub-culture. Like fingers joined to the same hand, the sinew that binds them is the safety that is derived in knowing what the “finger” beside you is doing and how it works in collaboration with you. The indoctrination process of achieving full Navy Seal status is the mechanics underpinning its powerful culture. The similarities between the Navy Seal indoctrination process and FYOP, or graduating from RMC are comparable at a cultural level as an identified organization. The primary building block for building a positive culture, according to Coyle is safety. The lack of job security in the civilian world would explain why this critical ingredient to building powerful cultures is rarely achieved. However, in the military, “job safety” is less of a threat, however, personal physical safety is not guaranteed. Coyle identifies three essential belonging cues under which the hive-mind forms and teams outperform: 1) the energy invested in the exchange 2) valuing individuals, and 3) signaling that the relationship will sustain in the future The antithesis to powerful cultures then could be the “anti-block” called isolation. 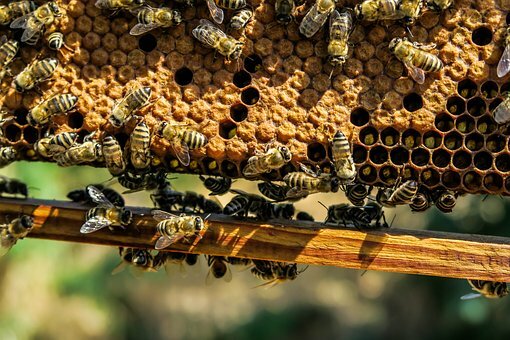 If a team member is isolated from the hive either through self-intent, neglect by the peer group or outside threat, the result can be highly destructive for the individual as well as the team. In the corporate world, I have seen highly competent, contributing team members falter, resulting in the team turning on them like a virus. In parallel with my previous article, 10,000 Hands, promoting isolation at an individual level when experiencing it at a corporate level is a recipe for disaster. Coyle’s work clearly shows that an outside threat can be endured if within the team safety is expected even if it cannot be assured. That is where the domain of Hope lies. If you believe your brothers and sisters have your back, you will feel safe. So when you see someone struggle, offer a hand rather than isolating them further. In that way, you contribute a building block toward a successful culture that will pay far more than just economic dividends.